WASHINGTON, DC, February 13, 2012 (ENS) – Belt-tightening and fiscal discipline is the hallmark of President Barack Obama’s Fiscal Year 2013 budget request to Congress, released today. All federal agencies whose activities govern environmental and sustainable development across the United States are presenting budget requests that reflect a government-wide effort to reduce spending and find cost-savings. For the U.S. Environmental Protection Agency, the Obama Administration is proposing a FY 2013 budget of $8.344 billion. This budget request is $105 million below the EPA’s enacted level for FY 2012. “This budget is focused on fulfilling EPA’s core mission to protect health and the environment for millions of American families. It demonstrates fiscal responsibility, while still supporting clean air, healthy waters and innovative safeguards that are essential to an America built to last,” said EPA Administrator Lisa Jackson. The EPA budget includes $50 million in savings achieved by eliminating several EPA programs that have either completed their goals or can be implemented through other federal or state efforts. “It has taken hard work and difficult choices to reach this balanced approach, and while we had to make sacrifices, we have maintained our commitment to the core priorities of this agency and ensured the protections the American people expect and deserve,” said Jackson. 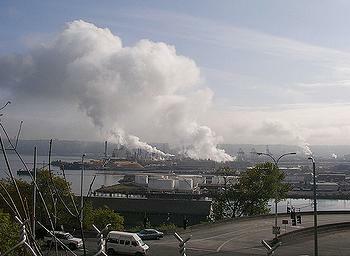 Programs to be eliminated include: the Clean Automotive Technology Program; Beaches Protection categorical grants; Environmental Education; State Indoor Radon Grants; the Fibers program; and support to other federal agencies within Superfund – the National Priorities List of the nation’s most hazardous sites. The EPA 2013 budget request includes increases in areas such as support for state governments, reduction of chemical risks and research into the impacts of hydraulic fracturing on drinking water. The EPA budget proposes $1.2 billion in grants for states that Jackson says “are on the front lines” implementing environmental statutes such as the Clean Air Act and the Clean Water Act. The increases from FY 2012 appropriated levels include nearly $66 million for State and Tribal Air Quality Management grants. Bill Becker is “extremely gratified” with this budget request. As executive director of the National Association of Clean Air Agencies, NACAA, he speaks for air pollution control agencies in 53 states and territories and more than 165 major metropolitan areas across the country. The EPA’s proposed budget includes nearly $27 million in grants for water pollution control under the Clean Water Act Section 106 grants, and about $29 million for the Tribal General Assistance Program. In support of the six Chesapeake Bay watershed states that are trying to reduce nutrient and sediment pollution in the nation’s largest estuary, about $73 million, a $15 million increase, will fund the Chesapeake Bay program’s implementation of the President’s Executive Order on Chesapeake Bay Protection and Restoration. To reduce chemical risks, increase the pace of chemical hazard assessments and provide the public with greater access to toxic chemical information, EPA is proposing $68 million, an increase of $11 million from FY 2012. EPA’s proposed budget provides $576 million to support research and innovation. Science to Achieve Results, or STAR, grants are funded at $81 million to conduct research in key areas such as hydraulic fracturing, potential endocrine disruptors, and green infrastructure. 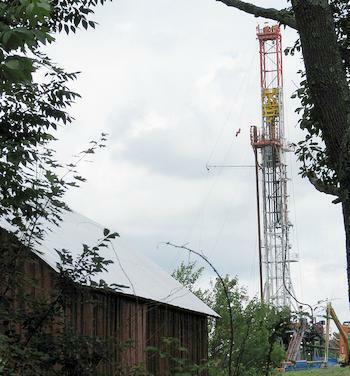 Building upon ongoing research and collaboration with the Department of Energy and the U.S. Geological Survey, a $14 million investment will enable the start of assessing potential impacts of hydraulic fracturing on air quality, water quality, and ecosystems. In 2012, the EPA also will release an Interim Report on the Impacts of Hydraulic Fracturing on Drinking Water Resources. EPA’s budget proposal requests $36 million to support “Next Generation Compliance,” a new enforcement model designed to enhance EPA’s ability to detect violations that impact public health by moving away from paper-based reporting. It is based on electronic reporting by facilities, modifying data systems to implement electronic reporting, and deploying modern monitoring technology and is expected to create cost savings and efficiencies for EPA, states and industry. The agency’s budget request contains a $10 million increase to the EPA’s National Vehicle and Fuel Emissions Laboratory in Ann Arbor, Michigan for certification and compliance testing programs and to evaluate new biofuels technologies. These funds will improve testing methods for the agency’s renewable fuels program, and the greenhouse gas and fuel economy programs intended to reduce dependence on oil and save consumers money at the pump. Jackson says the EPA will continue to address the impacts of climate change in FY 2013. An increase of approximately $32.8 million over the FY 2012 Enacted budget for climate protection will allow the agency to support the full range of approaches to reducing greenhouse gases and the risks its effects pose to human health and the environment and to property. This increase includes $26.5 million for grants for states and tribes. The EPA’s budget plan shows that $3.3 million of the requested increase will be used in FY 2013 to make further progress addressing climate change, by beginning the technical work and analyses necessary to support greenhouse gas standards for non-road sources, such as locomotives, marine craft, and aircraft. These funds also will update scientific tools needed to evaluate new biofuel fuel pathways and technologies. 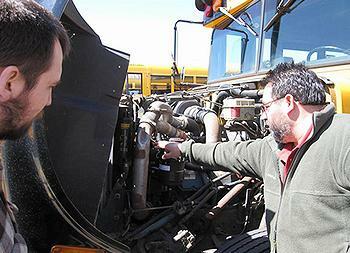 In FY 2013, the EPA will increase its oversight and testing rate for small imported engines. “A high fraction of those engines fail the EPA’s tests at the current limited rate of testing,” the agency says. A requested $1.3 million increase will support the procurement and installation of new heavy-duty truck chassis test equipment at the EPA’s National Vehicle and Fuel Emissions Laboratory in Ann Arbor. This equipment is critical to the EPA’s ability to conduct compliance testing of heavy-duty trucks weighing up to 80 thousand pounds for compliance with EPA greenhouse gas emission standards and National Highway Traffic Safety Administration fuel efficiency standards. The agency says this equipment is needed to ensure that all manufacturers are treated fairly when enforcing compliance with the new standards.